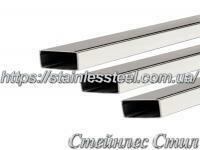 - is rolled tubular product which has the form of a hollow profile with a rectangular cross-sectional shape. In the production of rolled products using AISI 201 stainless steel, so that a rectangular profile pipe has properties such as strength, durability, corrosion resistance in moderate aggressive media. A combination of the above characteristics with a comfortable shape of the profile allows you to use the product in various fields of manufacturing and construction. 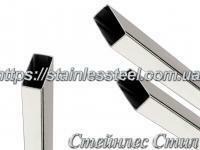 This shape allows to easily create various designs to connect between a profile or surface where they are installed. 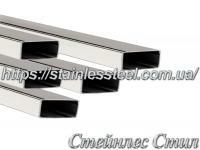 The pipe sections are rectangular has the following properties: reliability; strength; corrosion resistance in moderately agresyvnoy medium; temperature extremes; mechanical stress; ease of installation; the ability to withstand heavy loads; attractive appearance. 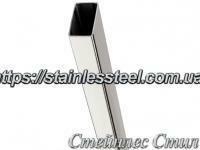 The stainless steel is mainly specialized pryamougolnіe pipe 201 used in construction, architecture to create different designs and decorative elements of buildings, stairs, etc. 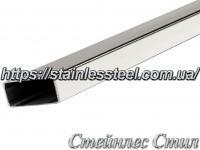 Company Steynles Steele Ukraine sells stainless steel products in Kyiv and Ukraine. 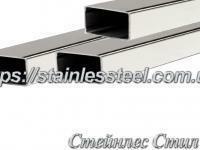 In this section you will find a wide range of relevant rectangular stainless steel pipes, products description. Rental price on our website is always current. Steynles Steele also has the ability to arrange delivery to Kiev and other Ukrainian cities. 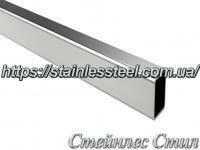 BUY rectangular stainless steel pipes!